The central figure in this film is 23-year-old Bakary from Mali, who left his family behind to build a better life in Europe. 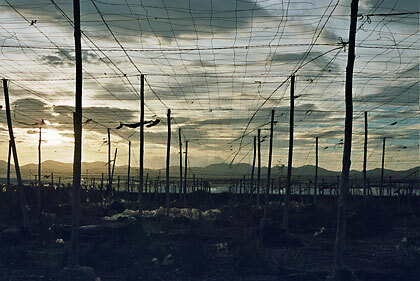 He found a job in a tomato nursery in Spain, but does not have a residence permit and therefore no right to housing. Along with some 20 partners in misfortune, he sleeps on the street. The film consists of three parts; in the first, we meet Bakary in Spain. The second part is set in Rabat, Morocco, where many Africans dream of a trip to the European continent. Many try to cross the water, but most are caught by the police and get sent back. The final episode is set in the village where Bakary was born and where his family resides, poorly but peacefully. These are shocking stories about the imagined paradise that many Africans believe Europe to be, stories that stand in sharp contrast to the great visual beauty of the film. 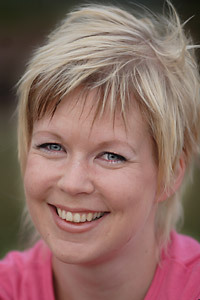 Elina Hirvonen works as a journalist and author. She also studies documentary film at the University of Art and Design Helsinki UIAH, School of Motion Picture, Television and Production Design. Her debut novel When I forgot was published in Finland 2005, and the translation rights have been sold to British, Swedish, German, Polish, Estonian, Italian and Islandic publishers. She currently lives in Zambia.